Boston—With several completed hospitality design projects and a variety of new hotels in the works, Group One Partners, Inc. is kicking off its 10-year anniversary in 2014 with the hopes of continued success. The Boston-based hospitality design firm is currently working on three high-profile hotel projects in Boston including the renovation of the Onyx Hotel downtown, the expansion of the Hotel Commonwealth in Kenmore Square, and the new Envoy hotel in Boston’s Seaport District. The hotels are slated to complete construction in 2014 and 2015. 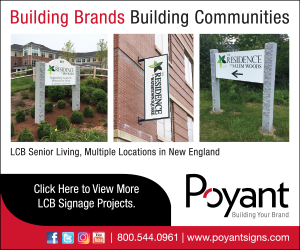 In 2013, construction was completed on three major Group One projects including Stonebridge at Burlington – a large elder care facility in Stonebridge, Mass. – and two Residence Inn by Marriott hotels in Boston. Residence Inn – Fenway opened in July 2013, Residence Inn – Downtown/Seaport opened in June 2013, and Stonebridge at Burlington opened in January 2013.
the NEWH New England Chapter. InterContinental Hotels Group also named the Holiday Inn Express & Suites in Merrimack, N.H., as Renovation of the Year. Group One served as architect on the project. This prestigious awardis given to hotels that merit special recognition for successfully completing major modernization and improvement projects during the past year. As the company continues to expand, it has increased its workforce and office space. This year, Group One hired four new staff members and also just recently completed a major renovation of its South Boston offices. The company is also committed to its community. Group One is a major supporter of the Wildflower Camp Foundation – a non-profit organization that offers camp scholarship assistance and emotional support to children who have experienced the loss of a parent – and sponsored the organization in this year’s Rodman Ride for Kids.